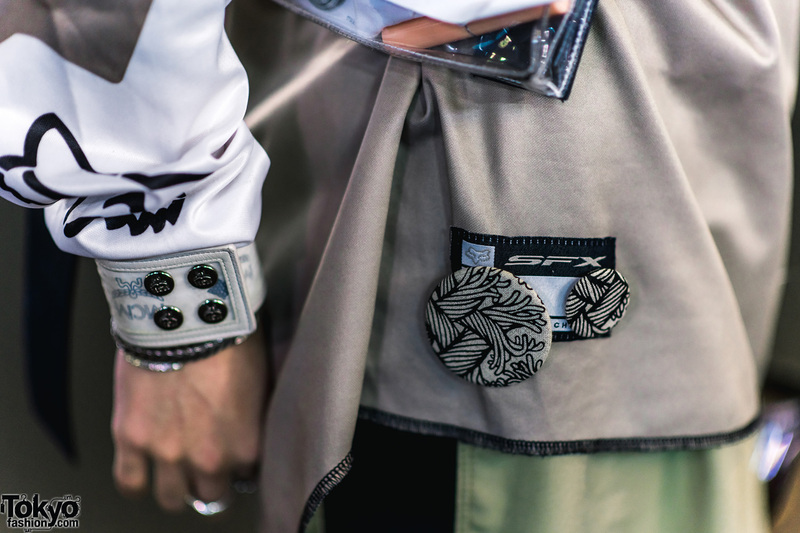 Catching our eye on the streets of Harajuku with his eclectic streetwear style is Fumiya, a 20-year-old student. 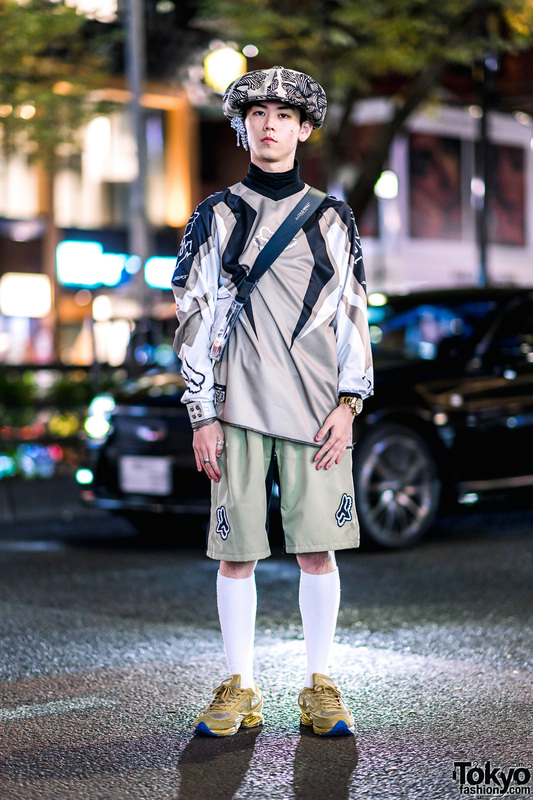 Fumiya stepped out in a v-neck printed sweatshirt from Fox, which he wore over a black turtleneck top and paired with green-and-black shorts, also from Fox. 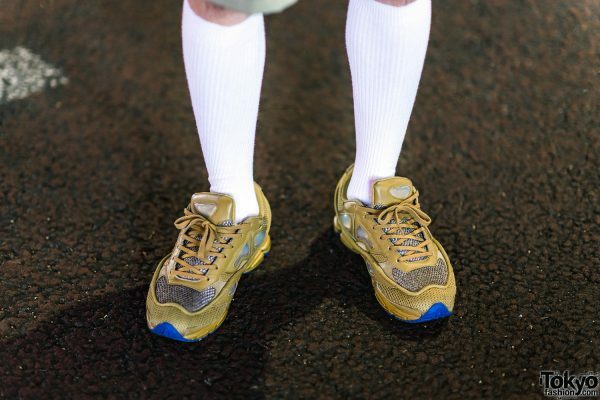 He donned white ribbed tall socks, slipped into a pair of Raf Simons x Adidas gold sneakers, and is wearing a clear crossbody bag with a black wide leather strap from A-Cold-Wall. 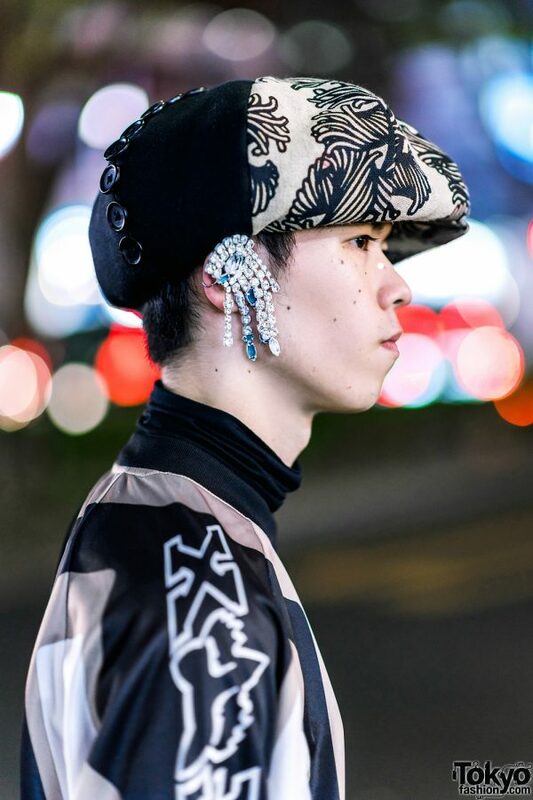 Fumiya embellished his style with accessories such as a Christopher Nemeth rope print newsboy cap, a statement-making studded ear cuff, a gold watch, a beige leather cuff, silver bangles, Christopher Nemeth rope print badges on his shirt, and multiple silver rings. 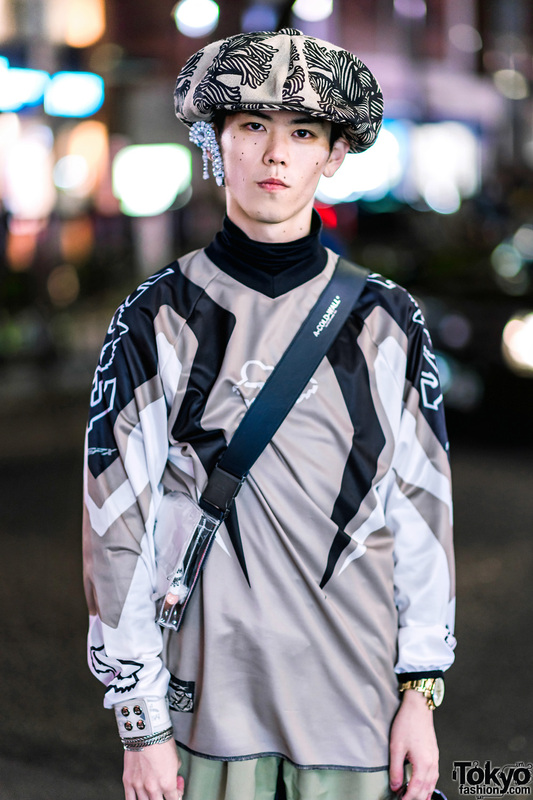 Christopher Nemeth is one of Fumiya’s favorite fashion labels, and he likes listening to the music of Radwimps. 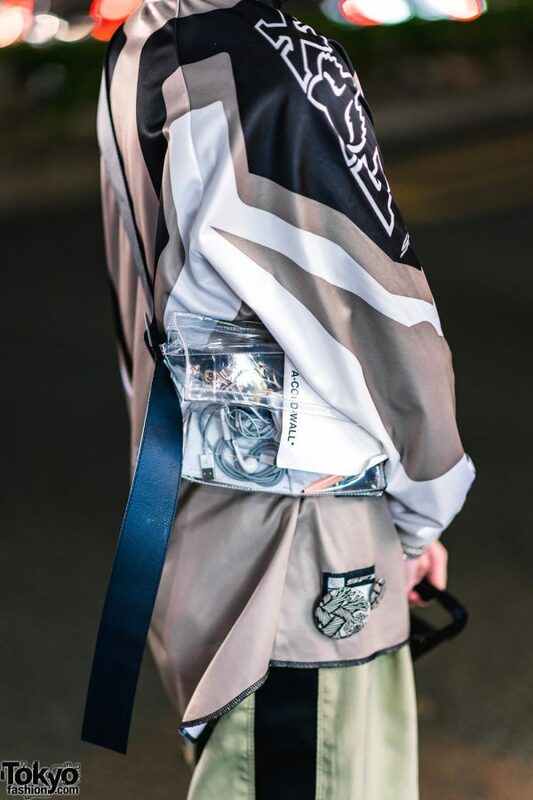 Follow Fumiya on Twitter and Instagram.